Alina Fernández, the estranged daughter of Fidel Castro, wants Spanish actor Antonio Banderas to play her father in the upcoming biopic “Castro’s Daughter,” to be directed by Michael Radform, according to Screen Daily—The Latin American Herald Tribune reports. Fernández suggested the name of the “Zorro” star to the production company Mankind Entertainment, now in negotiations with the actor’s agent to cast Banderas in the film. “I have been a huge fan of Antonio for years, and hope to see him play my father. I think he has a phenomenal charisma, and think he has the nerve to play the role perfectly…I’m very excited that he would consider this,” Fernández said. 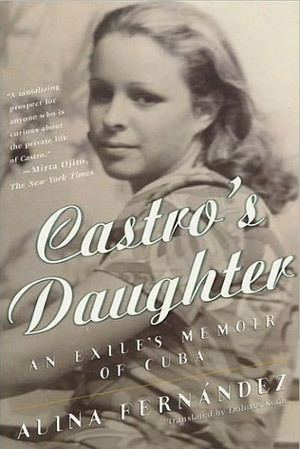 “Castro’s Daughter” will tell the story of Fernández, born in 1956 of a romance between young Fidel Castro and Cuban socialite Naty Revuelta, who was married to a doctor at the time. Fernández, who now lives in the United States, studied medicine and international relations and worked briefly in public relations for Cuba’s National Theater before becoming a model and trying to get a permit to leave the island – something she finally achieved in 1993 by pretending to be a Spanish tourist. The film will be shot in Puerto Rico.